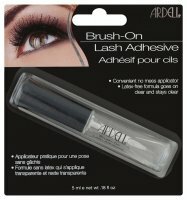 Lash Tite Adhesive For Individual Lashes by ARDELL. 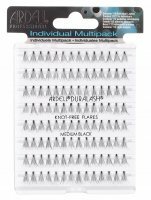 Designed for use with single eyelashes DuraLash. It has a waterproof formula that enables convenient and safe application. It stays on the skin for up to 3 weeks. Available in 2 variants: transparent and dark. The glue is placed in a glass bottle. Nice, but I prefer the black one.